Trimble and Kobelco Announce Factory-Fit Machine Control Solution for Kobelco SK210LC-10 Excavators in Europe - Kobelco Construction Machinery Europe B.V.
Kobelco Construction Machinery Europe B.V. (KCME) and Trimble are pleased to announce that Kobelco will offer the Trimble® Earthworks Grade Control Platform for the SK210LC-10 excavator as a factory-fit Machine Control solution for the European market. This solution offers customers 2D machine control to increase on-site productivity and quality, with the convenience of a factory-fit solution. With Trimble Earthworks, contractors can now take advantage of grade control automatics for excavators, allowing operators to create smooth, flat or sloped surfaces more easily. When the excavator is placed in Auto mode, the operator controls the stick, and Trimble Earthworks controls the boom and bucket to stay on grade, reduce overcut and increase production. By automating excavator operation, Trimble Earthworks allows operators to achieve grade consistently, with high accuracy and in less time. KCME will offer a 2D machine control factory-fit option that includes a 10-inch Android™ tablet display running the Trimble Earthworks software application. This option includes rugged Trimble hardware, designed and tested for the harsh conditions found on construction sites. Contractors can upgrade their 2D system to 3D by consulting with a local SITECH® dealer. SITECH is Trimble’s global distribution network, providing installation services, personalised training and local technical support for Trimble construction technology. 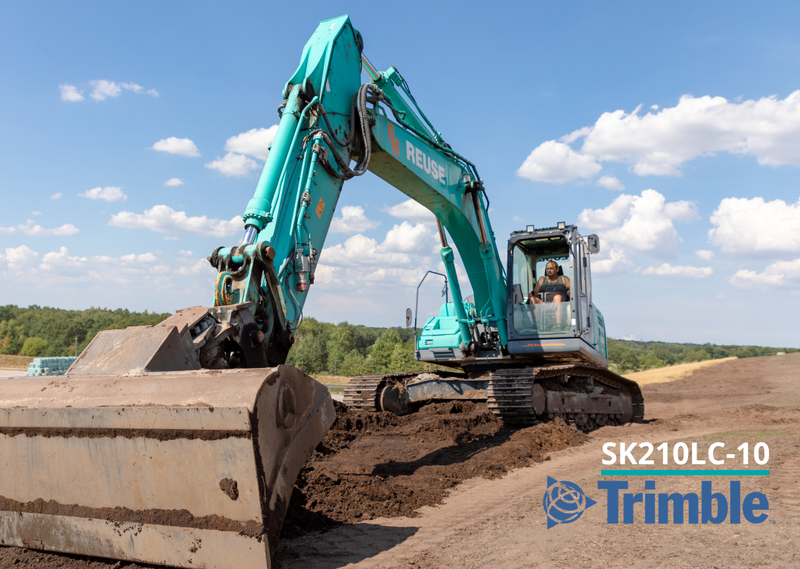 Factory-fit Trimble grade control for the Kobelco SK210LC-10 is expected to be available in Europe from Kobelco’s dealer network in 2020. Kobelco and Trimble are also developing the system to expand to other models. Please visit KCME on stand FN.1016 at BAUMA 2019 to find out more about the Kobelco.